Senate Committee Releases 2,500 Pages About 2016 Trump Tower Meeting The papers reaffirm previous accounts of the meeting by people involved — that Donald Trump Jr. and team sought "dirt" offered to them on Hillary Clinton and received some political intelligence. 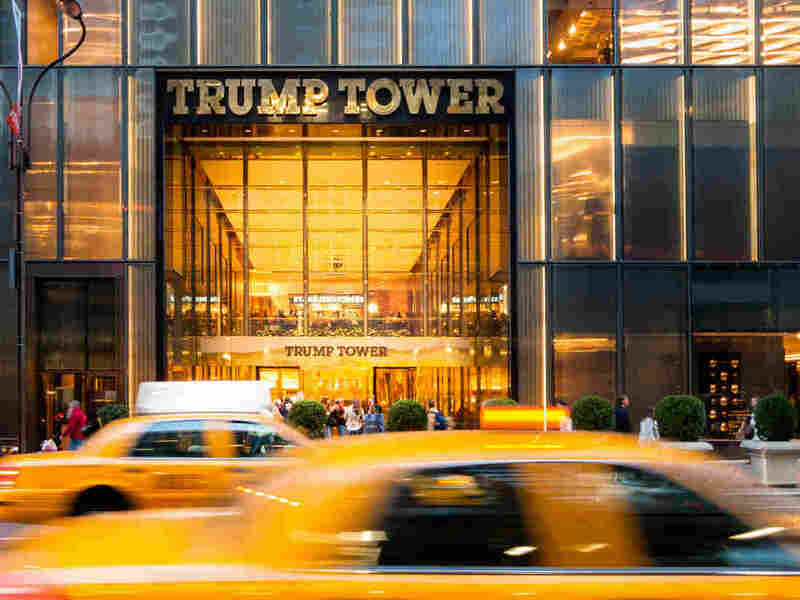 The June 9, 2016, meeting at Trump Tower is one of several known contacts between Trump campaign workers and people connected with the Russian government. The transcripts and notes reaffirm accounts of the meeting that people involved already have given — that Donald Trump Jr. and his compatriots sought "dirt" offered to them on Hillary Clinton and received at least one political intelligence tip but nothing as explosive as they had hoped. There is a second suggestion in congressional documents that Trump Jr. may have talked with his father at the time he was arranging the Trump Tower meeting. Trump Jr. told both House intelligence committee and Senate Judiciary Committee investigators that he spoke with someone who had a blocked number but that he couldn't remember whom. Other witnesses have said that Donald Trump has a blocked number. If investigators could establish that Trump Jr. and his father talked in June 2016 about the meeting, it would undercut President Trump's denials that he knew at the time about the delegation of Russians who visited New York and their offers of help to the campaign. "I appreciate the opportunity to have assisted the Judiciary Committee in its inquiry," Trump Jr. said. "The public can now see that for over five hours I answered every question asked and was candid and forthright with the committee." Trump Jr. convened the meeting with his brother-in-law, Jared Kushner, and the campaign's then-chairman, Paul Manafort. He did so after receiving emails that described an outreach, via a series of intermediaries, from Russia's top federal prosecutor, Yuri Chaika, offering help to the Trump campaign. President Trump and Trump Jr. initially said the meeting was about "adoptions," then modified their stories after Trump Jr. released the email thread showing he received his offer of help from the Russians. "Americans rightly have many questions about this meeting, and today, we are releasing the transcripts and exhibits from interviews we've conducted to allow the public to know what we know," Grassley said. "These materials, taken in their entirety, provide the most complete public picture of the events surrounding the meeting to date. Americans can now review this unfiltered information and arrive at their own conclusions." "The June 9, 2016, meeting is one piece of a much larger puzzle and confirms that the Trump campaign was willing to accept Russia's assistance," the Democrats said in a collective statement. "The committee's staff interviews reveal that top Trump campaign officials were frustrated and angry that the meeting did not produce enough damaging information on their opponent." The House intelligence committee cited Trump Jr.'s denials in completing its report about the Russia imbroglio with a finding that there had been no collusion between the Trump camp and the Russian active measures. President Trump has cited that finding and argued that the continuing investigations in Congress and by the Justice Department are just a "witch hunt."